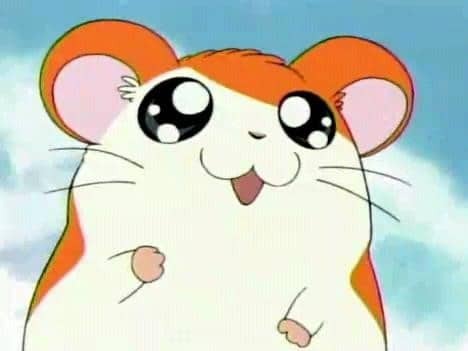 When you’re done watching those adorable new “とっとこハム太郎” (“Hamtaro”) videos on FluentU, I’ve got some news to share with you. There are 20 new course playlists available on FluentU Japanese, all fresh out of the oven! They cover everything from simple greetings and sentence structure to various verb tenses, negation, etiquette and office-ready Japanese. We’re pretty excited—it’s a fantastic new way to nail down all the basics of the Japanese language. They do a darn good job of targeting all the basics of beginner Japanese, so everyone ranging from complete newbie to lower-intermediate will find the structure and support they need to really reinforce essential lessons. It’s perfect if you know zero Japanese, if you feel a bit wobbly on some of the basics underlying more advanced lessons or if you’ve been grazing around different levels of videos and aren’t sure where to get started. No matter what level of Japanese you’re at—unless, perhaps, you are already reading “源氏物語” (げんじものがたり – The Tale of Genji) unabridged in Japanese—then these courses are worth checking out, even if just for a quick refresher on those all-important fundamentals. It’s quite easy to locate these on the site, once you know where to look! There are two courses of action that you can take, depending on your current language level. Once you’re able to view your Settings menu, click “Study Settings.” Your current level setting will be right there, on a silver platter. By clicking “My Course,” you’ll see these course playlists sitting there waiting for you! Keep in mind that the new playlists are divided into two levels. Some are Newbie, and the rest are Elementary. So, for example, elementary level learners will only see what’s at elementary level under “My Course.” They won’t see the newbie stuff there. If you want to view course playlists that are not specifically labeled the same as your current level, then see the next pointer. This is for everyone else. Are you advanced but need to brush up on counters? Intermediate and still working on your personal greetings? It’s all good. Scoot your eyeballs up the left sidebar to the “Browse” options and click “Playlists.” Sort by level to break videos down into newbie and elementary categories, or view them all at once without filtering. Go one video at a time. You might be surprised by how much information each video contains. Some videos exist to reinforce just a handful of words, while others will give you a plethora of rich new vocabulary to use. Either way, I’d suggest that you don’t move on to the next video in the playlist until you’ve watched the first one fully and have completed the Learn Mode activities. Go in order. Each course playlist builds on the skills developed in the last, and the videos within each playlist are sequenced logically to help facilitate your learning. Save whatever is trickiest to your personal vocabulary list. When you bump into words, phrases and grammar patterns that made you scratch your head, save them to your vocabulary list. You could even create new playlist especially devoted to these courses and call it something like “Fundamentals.” Then you will be able to easily go back and revisit the trickiest parts of these lessons in the future. Be diligent about your Learn Mode sessions! In terms of really committing new Japanese language lessons to memory, Learn Mode gets the job done. 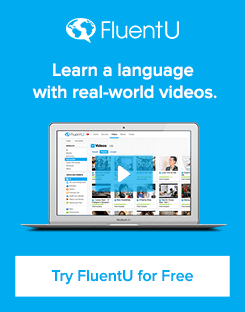 You won’t just be looking at a word on a flashcard—FluentU prompt you to identify and remember vocabulary and grammar by playing colorful, real-world video clips where the language is used in a real-world scenario (or perhaps an anime or music video scenario). It also presents you with a variety of different exercises to reinforce newly-learned language, like fill-in-the-blanks, word order, matching and guessing games. It gives you lots of different ways to interact with your new language. So, before moving on to a new video or course playlist, get through the Learn Mode exercises in order. Review when it’s time to review. You’ll periodically get a clickable message on your home page that says “Ready to Review.” This will tell you when is the optimal time to review older lessons and the vocabulary and grammar that once gave you some extra trouble. You’ll never have to worry about forgetting lessons you learned a while ago—we’ve got your back! Don’t get overwhelmed. As I mentioned before, there’s a surprising amount of information of each section of each course playlist. You might walk into a course playlist thinking you already knew everything about the topic, only to find that there’s new vocabulary and grammar you weren’t expecting. Take it slow, enjoy the videos and don’t try to speed through tons of videos in one sitting. Savor the experience! Your memory will thank you later. The newbie courses have tons of great basic lessons that are ideal for anybody starting with Japanese from square one. And don’t forget—we’re still working on adding more to these course lists every day! The list of courses continues at the Elementary level. It’s all one continuous course that can bring people with no Japanese knowledge whatsoever right out of the newbie stages, into elementary and onward to intermediate. Just scan that list and think of all the topics you’ll be able to speak about after learning those lessons. You’ll have enough Japanese to manage any everyday occurrence in Japan (think: traveling, counting, asking for things, talking about yourself, telling time) as well as descriptive language to get you talking about more complicated things, such as past events and office work. All these courses online amount to a virtual simulation of an immersion course in Japan. You won’t just be learning isolated vocabulary and trying to drill it into your head—you’ll be watching Japanese speakers walk around, talk to others, do their thing and naturally use this language in their daily lives. Even the courses that are more dedicated to reinforcing key vocabulary work hard to present that vocabulary in a variety of ways, in a variety of contexts. This makes for some unforgettable lessons. I’ll never forget the words 電話 (でんわ) or スマホ (すまほ) after watching this little commercial clip that repeats them a bunch of times—while showing a cool smartphone-home phone hybrid device that I’ve never seen before. Likewise, I’ll never be able forget the negation lesson that this oddball commercial seared into my brain. There are more benefits in store for you to discover. Take these playlists for a spin and tell us what you think! We’re always adding more videos and courses, so stay tuned for our next big update.